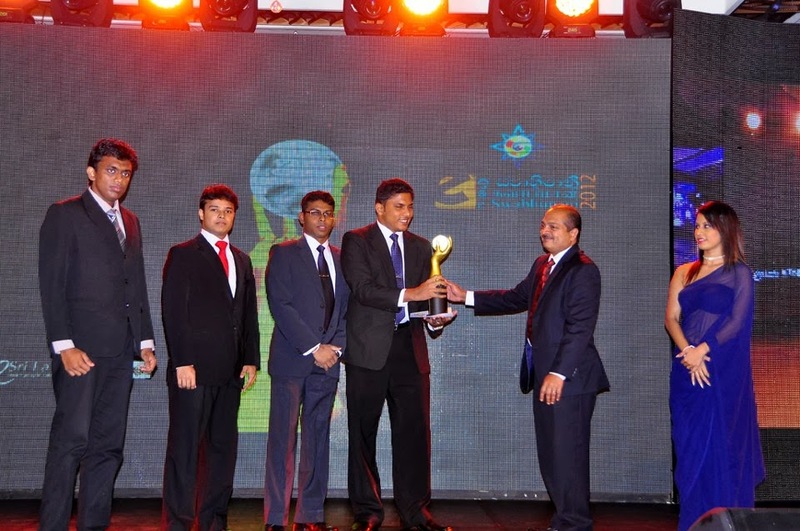 It is with a great pleasure we announce you that we won our 2nd International Award at mBillionth South Asian Award 2014 which was held on 18th July 2014 at India Habitat Center, New Delhi. 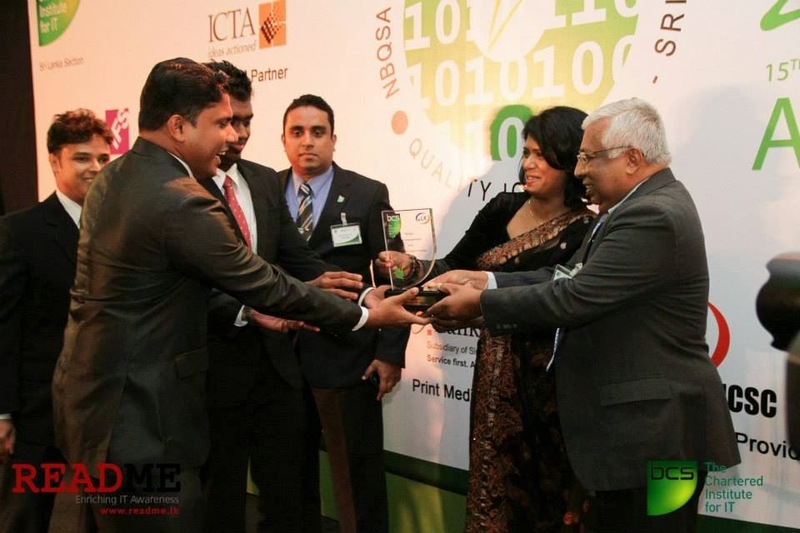 We are so happy to be the only Sri Lankan company to achieve a Winner Award at this South Asian Award from over 700 applications from 9 South Asian Countries. 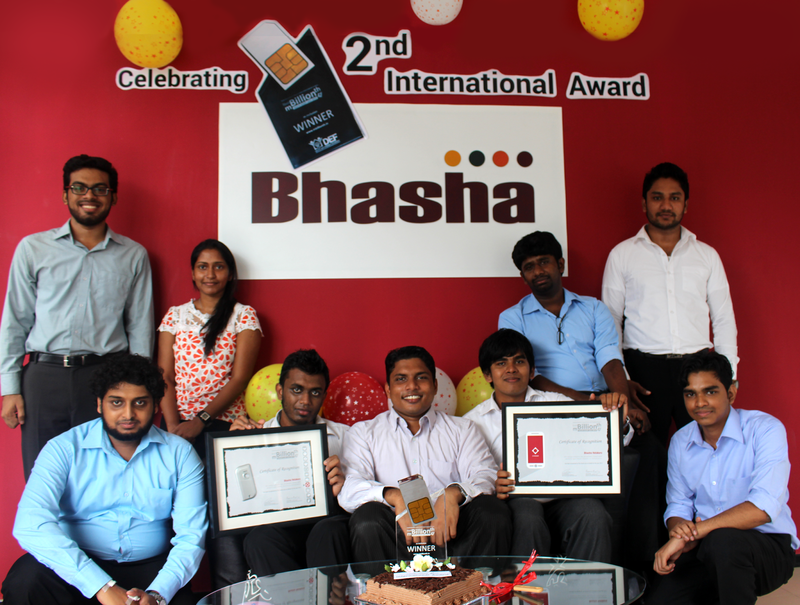 We won this International Award for our Sinhala Keyboard Input solution Bhasha Helakuru which is the only standard Sinhala mobile keyboard to type in Sinhala on mobile devices. 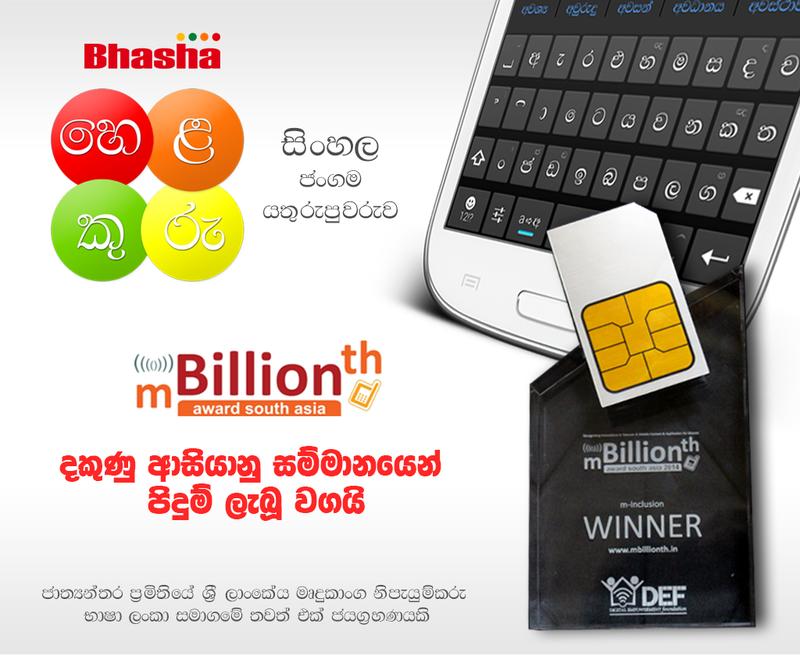 We innovated Helakuru in 2011 as a hassle free way to type Sinhala on mobiles at a time where there were no mechanism to type Sinhala characters on mobile devices. Thereafter we got many recognitions for this innovation over the past years & this is the 5th time we got recognized for it. 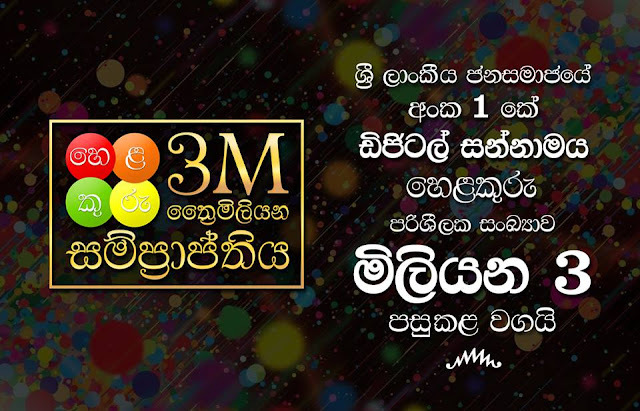 Helakuru now has a user base of more than 200,000 users & it supports both standard Wijesekara layout & an easy to learn phonetic layout for the beginner users. It has also made Sinhala typing more & more convenient for Sinhalese masses by introducing intelligent word predictions support. 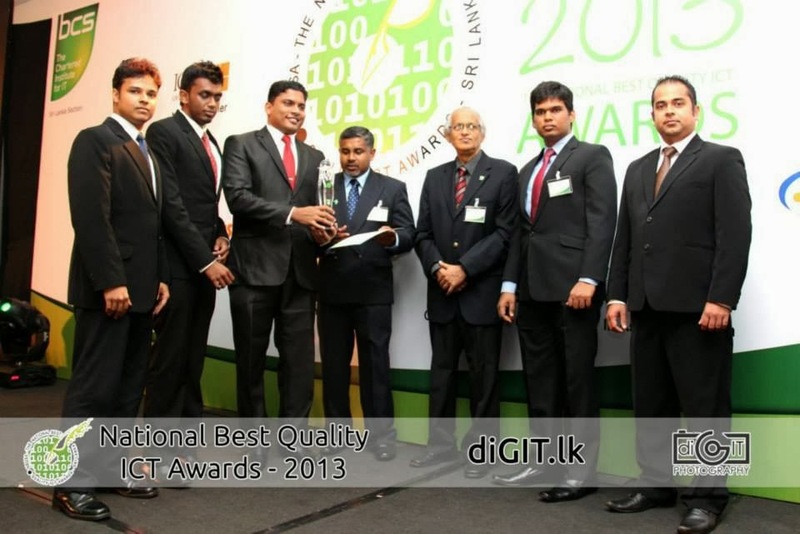 Three years ago when we emerged as a young startup company in Sri Lanka, we had a mission to Empower the Sri Lankan masses by removing their barriers to access ICT solutions & Today we are really happy that we could achieve a little bit of that mission which is proven with these reputed recognitions.